Congratulations to our Client Lily and Val for their feature in Long Island Pulse Magazine! Food is memories, sweet and simple. Whether it’s your grandmother’s famous stuffing or the life-changing chocolate cake you shared on a rainy candlelit night with your favorite person, each taste and smell draws us back and our thoughts burst with nostalgia, love and even tears. The Keepsake Kitchen Diary from Lily and Val not only records the recipes that encapsulate our special moments, but also the memories that inevitably coincide with them. The Keepsake Kitchen Diary exists as a functional, beautiful holder for your most treasured recipes, but there is also room for what makes the recipes precious: the memories. Each spread provides ample space to record dates, occasions, and thoughts in a meaningful way. 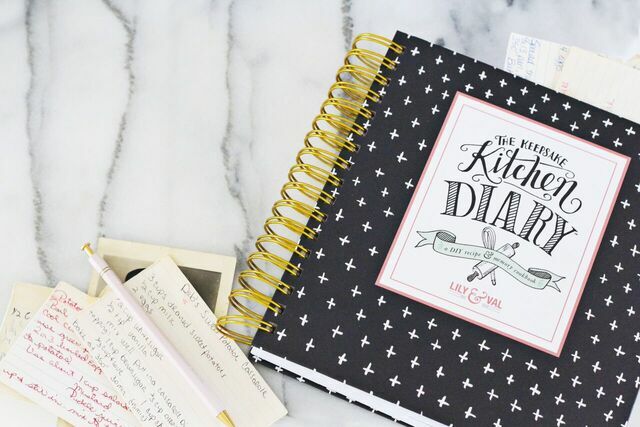 The Keepsake Kitchen Diary is a one-of-a-kind heirloom and DIY cookbook that will bring joy to you and the people you love for generations. Check them out at lilyandval.com!